Last year I spent quite a bit on spring-flowering bulbs and populated my garden with lots of Daffodils, Ranunculus, Tulips, Ixias, Freesias and a few Dutch Irises. After my initial ‘bulb planting’ fest I planted quite a few Asiatic Lilies in the Azalea bed and loved the show I had during Spring right through to the beginning of summer. It gave me so much pleasure to be able to pick flowers in my garden and bring them into my home as well as the many hours spent taking photographs and just generally enjoying the flower filled garden. So this year I’m adding to my collection. 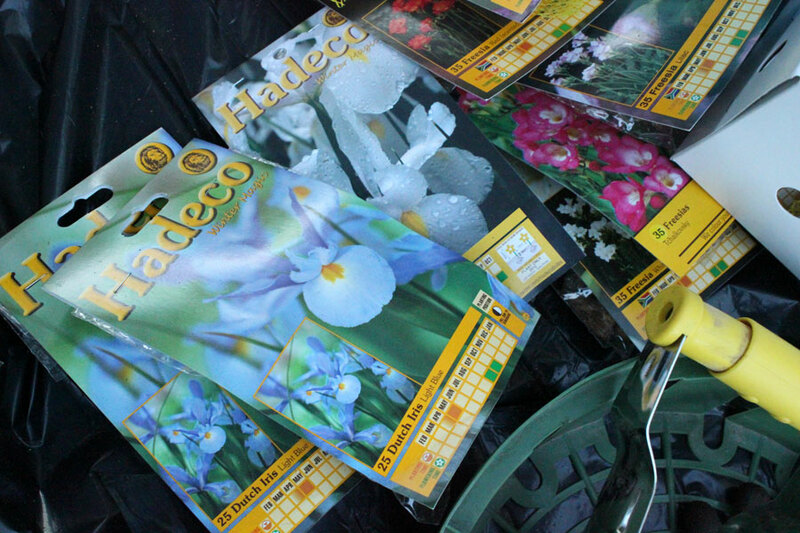 Last year I discovered which bulbs do well in my garden and which don’t, and I’ve bought more of the winners. 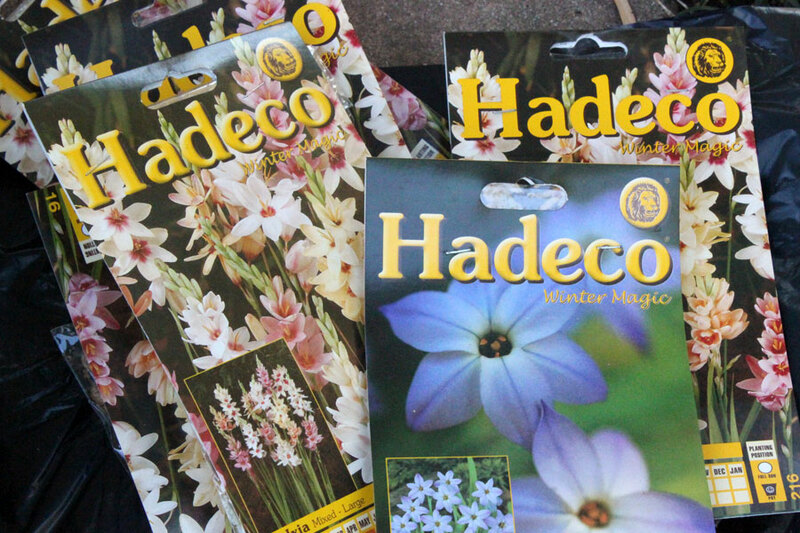 I especially enjoyed the Freesias and the Ixias last year (both are indigenous South African bulbs), so I’ve bought loads more of those. I’ve bought only a few extra daffodils to add to the collection in the front garden which did well. I’m thrilled to see the ones planted last year are already coming up again. The Dutch Irises are also coming back as well as the Ixias which were planted in a pot and the Freesis which were planted in shade. This year I’m adding another 100 Ixias directly into my sunniest bed and I’m adding the small Ipheon to the mix. Planting bulbs is not too labour intensive either – I use a dibber (I think that’s what it is called) and a special ‘bulb planting’ tool. 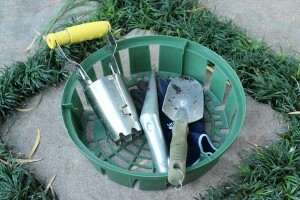 Of course planting them into pots is even easier to do. This year I am also planting up a few pots with bulbs which I can then move into beds once they are flowering. This because some of my favourites require sun and I have limited sunny beds. I hope it all works out as well as it did last year. I like the surprise of bulbs and the anticipation of waiting for them to emerge. You’re going to have quite the spring show! 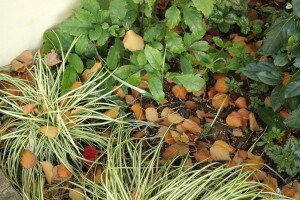 I have a few fall flowering bulbs and would like to add more. Luckily, my neighbor was kind enough to share some oxblood lilies with me so I’m looking forward to them blooming this fall. Hi Christine, I finally got internet and am getting to visit. I find bulb planting really hard work maybe because we have so much clay and by summer’s end the clay is up to the depth of where we plant. I do plant loads of bulbs though and find it not much fun until they bloom, then I forget about all the work it took to get them in the ground in Fall. I too love bulbs in the springtime. Our bulbs have finished flowering for the season. It will be nice to see your bulbs in bloom when it is cold and snowy here. 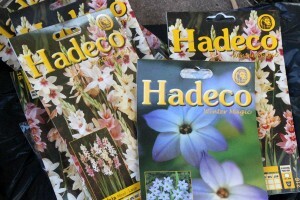 I’m eagerly awaiting bulb planting time already! 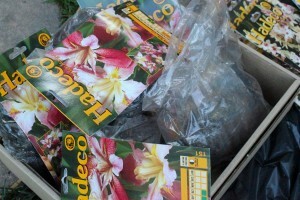 I’m hoping to plant a lot more lilies, although that will depend on the cost. 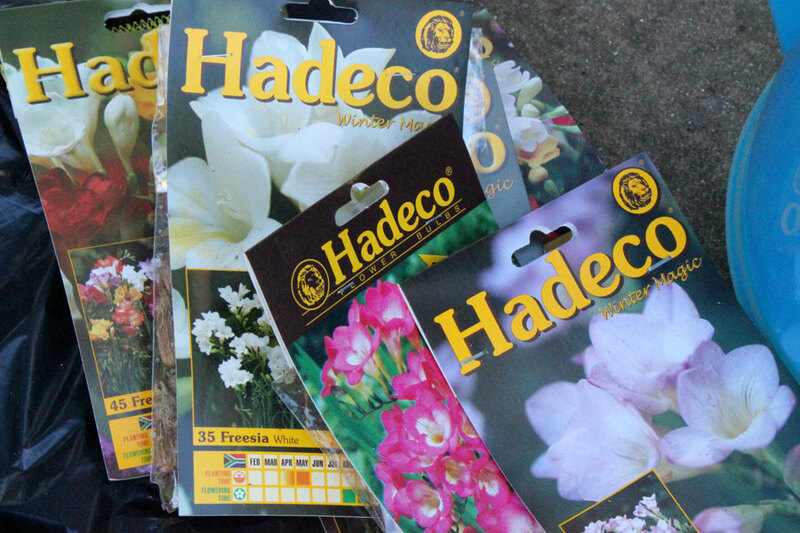 Your bulbs will be fabulous next year. 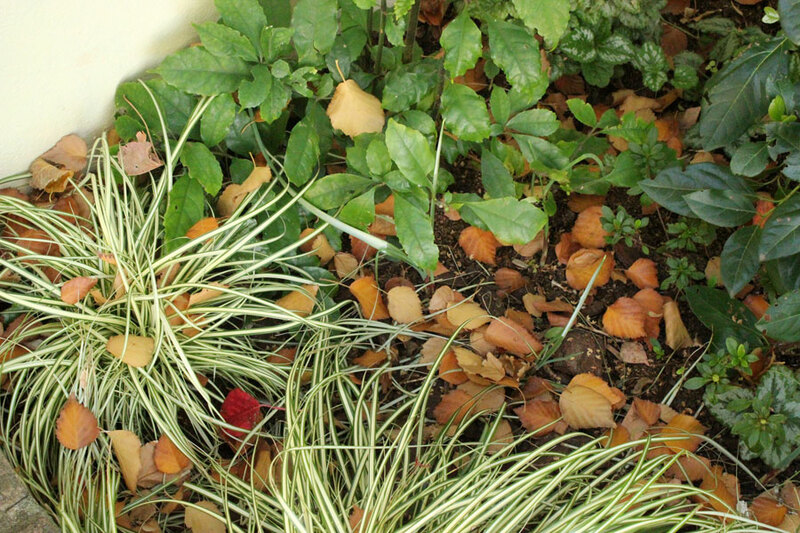 That’s one good thing about bulbs – they’re usually very reliable! I have no doubt that you will have a wonderful show this spring!! It will be little effort for masses of joy!! Gonna be FAB!!! Since you’ve chosen types that did well for you already, it’s just a matter of putting them in similar conditions. You’ll have to post more wide-angle shots once they all start coming up — it sounds like you’ll have quite a few spring bloomers this year!